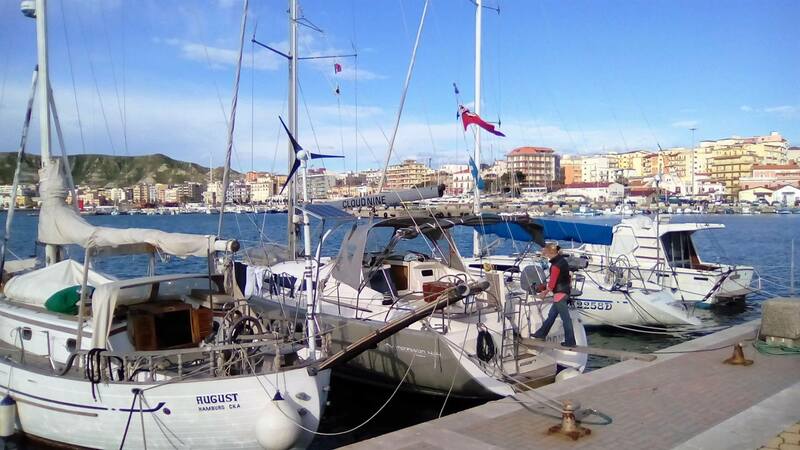 After a lot of bureaucracy, the boat and her crew left Croatia for the first leg of her trip to Scotland – a 28-hour sail in foggy but very still conditions, crossing shipping lanes to arrive in Brindisi in S/E Italy. After a bit more bureaucracy (3hours! 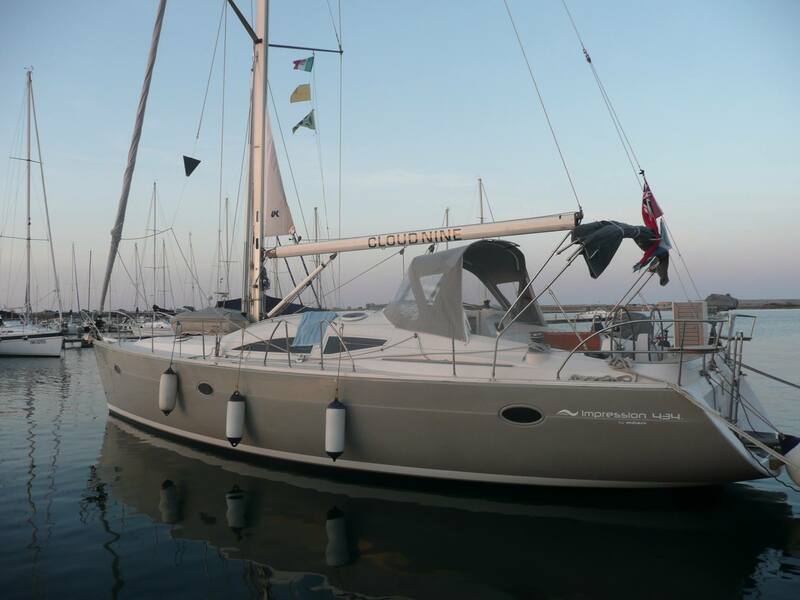 ), the boat was cleared by customs and was on her way to Crotone. The crew were enjoying a lazy, sunny Sunday in Crotone – a buzzy, nonpretentious local report and fishing harbour on the boot sole of Italy. We are playing dodgems with the vicious winds that blow around the Straits of Messina; we tried to depart on Saturday but got knocked back. Whilst the menfolk worked on the reefing system, Marjorie and Christine had coffees and watched the Italians parade the seafront in their Sunday best. The boat eventually left Crotone on Monday morning and arrived at the Sicilian port of Messina at 5.45 on Tuesday morning. We enjoyed a fascinating trip along the stunning southern coastline of Italy, battled force 7-8 winds for the first 6 hours, which then turned into a nice afternoon (25C) and then turned into a very cold but calmer night. This morning’s sport in the pitch dark was ‘dodge the ferry and freight ship’ as we crept into the yachty corner of Messina’s waking commercial harbour. Crew now variously dozing, washing and communicating with the world, before we head into explore what looks to be an interesting town. 25 degrees and sunny! Cloud Nine is handling really well, crew is still on a learning curve!